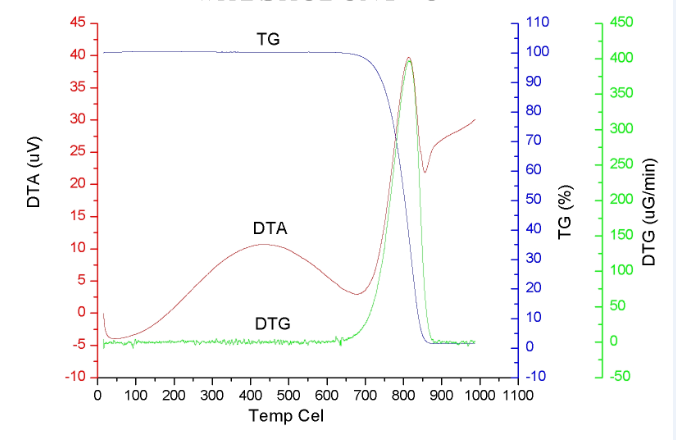 Graphitized high purity carbon nanoFibers were produced by a low temperature CVD method and subsequently annealed about twenty (20) hours under condition of inert gas at temperature 2800°C. These products were characterized for chemical purity, and defect healing. The graphitization procedure was found to remove residual metal catalyst in the nanofibers and reduce the defects. The graphitized carbon nanoFibers have the highest graphite crystallization, the high electrical conductivity, thermal conductivity and the excellent inoxidizability. The electrical conductivity of the graphitized carbon nanoFibers is very close to that of graphite powder. And its ignition temperature can reach 800°C. 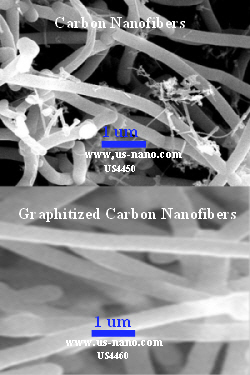 Potential applications of carbon nanofibers are: (1) additives in polymers; (2) catalysts; (3) electron field emitters for cathode ray lighting elements; (4) flat panel display; (5) gas-discharge tubes in telecom networks; (6) electromagnetic-wave absorption and shielding; (7) energy conversion; (8) lithium-battery anodes; (9) hydrogen storage; (10) nanotube composites (by filling or coating); (11) nanoprobes for STM, AFM, and EFM tips; (12) nanolithography; (13) nanoelectrodes; (14) drug delivery; (15) sensors; (16) reinforcements in composites; (17) supercapacitor.